Seminar paper from the year 2002 in the subject English Language and Literature Studies - Linguistics, grade: 1,3, Ruhr-University of Bochum, 9 entries in the bibliography, language: English, abstract: In 1967 Eric Heinz Lenneberg established his groundbreaking work "Biological Foundations of Language" in which he tries to push the biological view on language forward. One important point that is discussed is "language in the context of growth and maturation". The Critical Period Hypothesis (CPH) is the essence of this considerations. 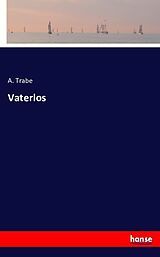 Lenneberg tries to find evidence for his theory in the study of retarded, aphasic or deaf children and in neurological studies. But at this time the most striking proof for the CPH, Genie, was still imprisoned in a small room in her parents home. 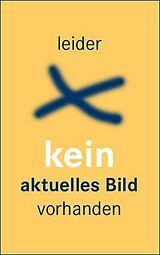 Three years after Lenneberg published his work on the CPH, 13 years-old Genie was recovered by an eligibility worker and her case rapidly aroused the interest of neurologists, psychologists and linguists. Susan Curtiss, a graduate student of the UCLA Linguistic Department got the possibility to work with Genie for the years to come. Her work Genie - A Psycholinguistic Study of a Modern-Day &apos;Wild Child&apos; compiles her experiences on working with Genie added by a detailed case history. What Susan Curtiss found out about Genie&apos;s linguistic development seems to be the evidence for the existence of a critical phase for first language acquisition. 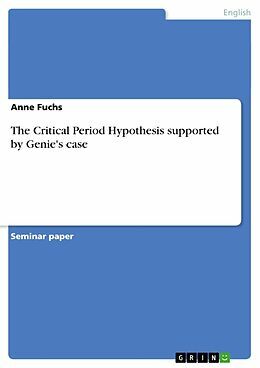 This paper gives a brief definition of Lenneberg&apos;s Critical Period Hypothesis, summarizes the case history and the data of Genie&apos;s linguistic development and, according to Susan Curtiss, relates Genie&apos;s case directly to the CPH. Over and above that, it tries to explain, why Genie developed a certain amount of language and with this proved the &apos;strong&apos; version of Lenneberg&apos;s hypothesis as wrong. Anne Fuchs is Professor of German Literature and Culture at University College, Dublin.